Name, Address ,Email address, Telephone number (landline &mobile)&Medical History. Clinical records, Radiographs, Study Models, Correspondence. “Process” means that the practice obtains, stores, updates and archives data. Patient data is held for the purpose of providing all patients the provision of appropriate, high quality, effective, safe dental care and treatment and for the defence of legal claims. The lawful basis of holding such data is in our Legitimate Interest to do so. We must hold data on dental care and treatment as it is a Public Task required by law. 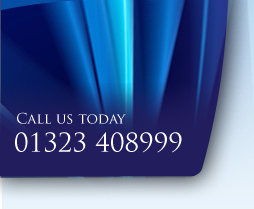 Seaside Dental Practice Ltd offers a facility for Application for Finance . Where you have provided Seaside Dental Practice Ltd with information to assist with an “Application for Finance” you expressly permit us to share this information with our third party organisation Dental Finance Hitachi Capital for finance purposes and to assist with your application for finance to get the necessary response. Such information is reviewed manually without any automated assessment. Seaside Dental Practice Ltd will never sell your data. The right to rectification – that the information we hold is correct and to make corrections if not accurate. Seaside Dental Practice Ltd will store data for as long as we are providing care or recalling patients for further dental care. We will archive (that means to store without further action) far as long as required for legal purposes as recommended by the NHS or other trusted expert recommendations.